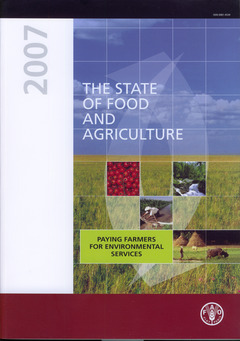 The State of Food and Agriculture 2007 explores the potential for agriculture to provide enhanced levels of environmental services alongside the production of food and fibre. The report concludes that demand for environmental services from agriculture - including climate change mitigation, improved watershed management and biodiversity preservation - will increase in the future, but better incentives to farmers are needed if agriculture is to meet this demand. As one among several other possible policy tools, payments to farmers for environmental services hold promise as a flexible approach to enhancing farmer incentives to sustain and improve the ecosystems on which we all depend. Nevertheless, challenges must be overcome if the potential of this approach is to be realized, especially in developing countries. Policy efforts at international and national levels are necessary to establish the basis for such payments. The design of cost-effective programmes requires careful analysis of the specific biophysical and socio-economic contexts and consideration of the poverty impacts programmes may have. By clarifying the challenges that need to be addressed in implementing such an approach, this report is intended to contribute to the realization of its potential. Included in this issue is a mini CD-ROM of the FAO Statistical Yearbook 2005-2006 Vol.2/1, containing time series data for 200 countries.